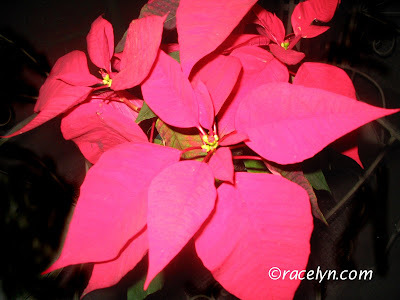 This poinsettia was given by Leah, our tenant for so many years and has grown closer to us especially to my Mom. Our tenants know that my Mom loves plants and flowers so when they see nice plants and flowers they love to bring them to my Mom. Poinsettia was commonly known as the Christmas flower with fiddle-shaped leaves and terminal right red flowers in clusters. They have a variety of pink flowers too! If eaten these flowers can sometimes cause vomiting and diarrhea. See more of Today's Flower entries here.